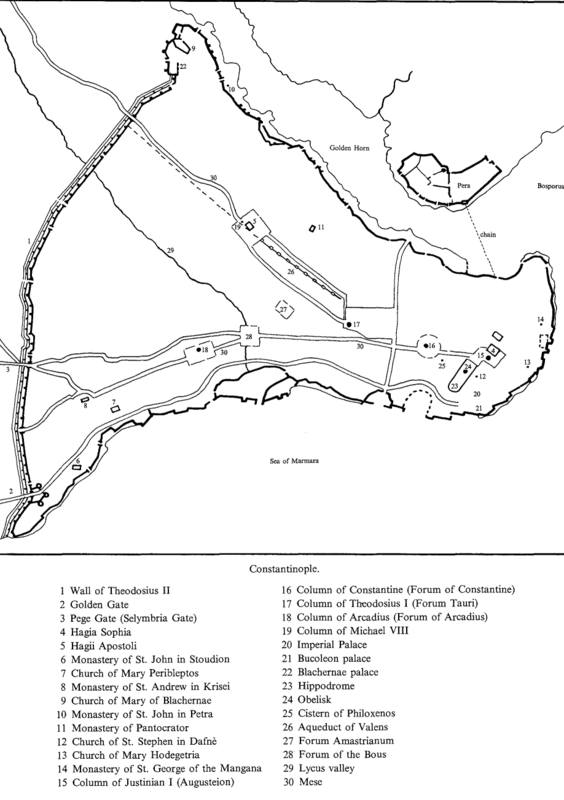 Van der Vin’s book also contains a rather useful map of Constantinople, which I think worth sharing. In particular it shows the location of the Church of the Holy Apostles. « The church of the Holy Apostles in Constantinople – already in ruins before 1453?